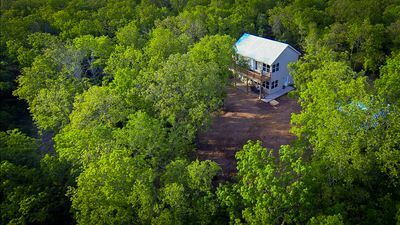 575 Acres Of Pure Country Heaven! 25 Minutes From Baylor! The It’s All About Me Ranch is nothing short of a magical experience and our guests can’t wait to come back. The hardest thing you’ll have to do here at the ranch is leave! 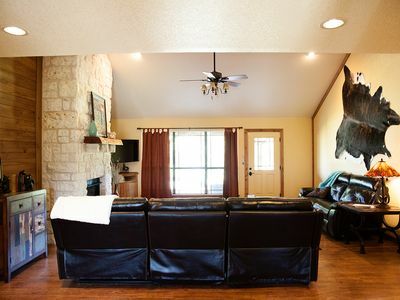 The ranch is conveniently located and is a short commute from DFW, Waco and Austin areas. For you city folks, Aquilla is approximately 13 miles west of West, TX. 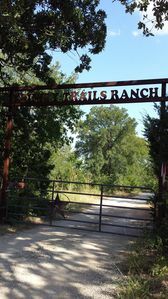 The It’s All About Me Ranch spreads a total of 575 beautiful acres. 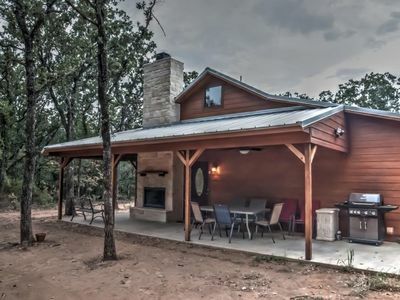 The main home is approximately 3000 SF custom ranch home with 3 bedrooms, 2 full baths, 2 half baths with huge living and dining areas, and oversized game room with pool table. Sleeping quarters include king size bed and two queen size beds. Linens and pillows provided. The home also offers our guests a fully stocked gourmet kitchen, fridge with ice maker, microwave, coffee pot, outdoor propane grill, and full size washer and dryer. 4 flat screen TVS with Direct TV and free WIFI. Additional space and sleeping accommodations offered at an ADDITIONAL COST of $100 per night and an additional $25 towards cleaning fee. This room includes a 5th flat screen TV, four sets of bunkbeds and half bath. Total main house and additional rental quarters can accommodate 16 sleeping guests. Front and rear porches spread the entire length of the main house for our guests to experience wonderful views and serenity. Huge fire pit is the perfect place to gather around the campfire and count the stars. Property has a convenient pond located behind the home for fishing. The It’s All About Me Ranch is a working ranch so please be sure to respect our cattle’s home and our rancher’s hay production fields. Pets are allowed with prior notice and permission. 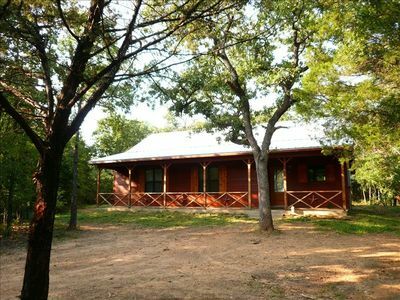 Our guests have enjoyed the It’s All About Me Ranch for such occasions as weddings, family reunions or just a weekend getaway. Grab the family and some groceries and get ready to make some memories. See ya soon!